the video on the right was taken in 2007. 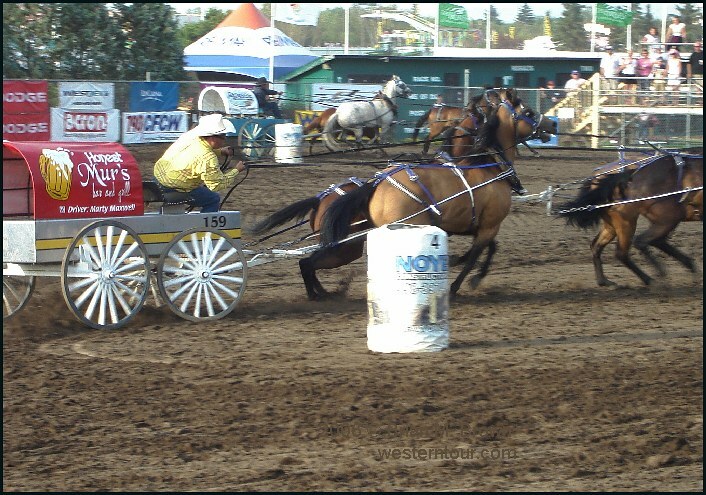 In the small towns across Western Canada, chuckwagon drivers are heros that everyone looks up to. 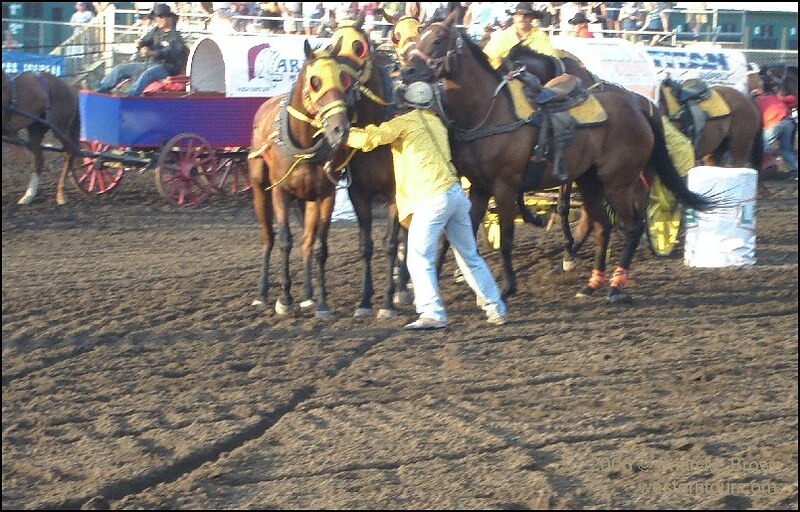 Although a few people think this sport is cruel to the horses, my impression is that it is the cowboy who has the worst experiences. They can prove it by telling you about the bones they have broken. 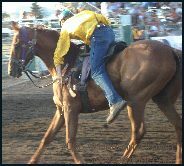 Their job, working with massive powerful horses, is tough and dangerous. They haven't chosen an office job, calm and comfortable, filled with modern technologies, www.o2.co.uk internet access, tea breaks and swivel chairs. 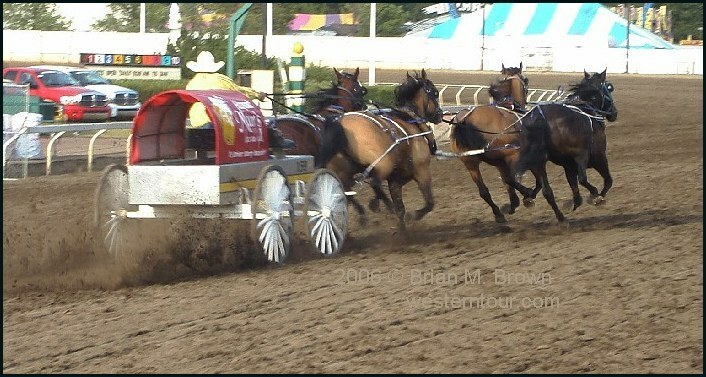 This is Chuckwagon racing. This is the original extreme sport. 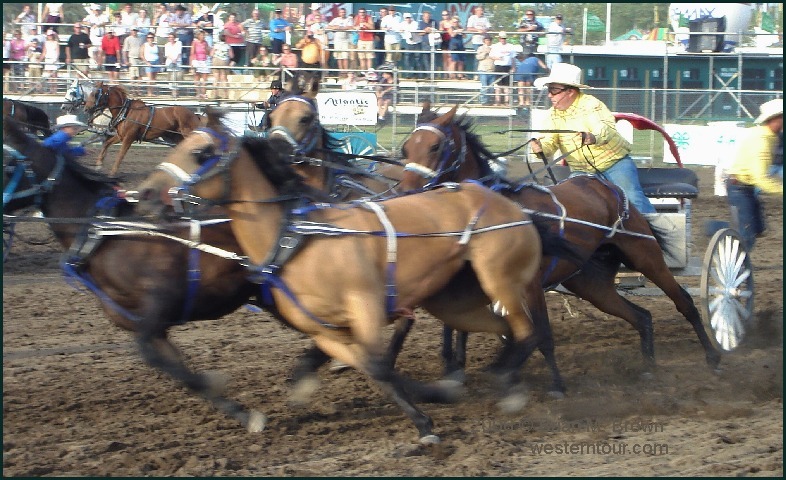 Experience a close-up view of an exciting chuckwagon race. Analyze the high spirited horses and the tough job of the outriders. 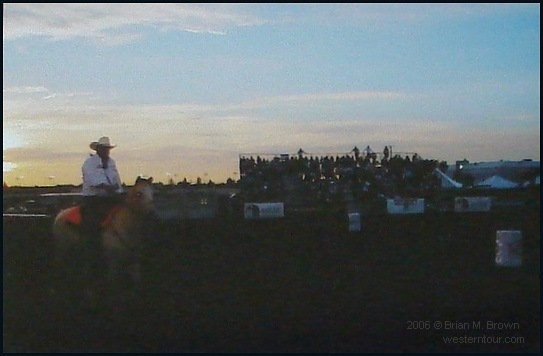 This video was taken at Edmonton, Alberta where I was able to get a close look at the action. on the ground. He is shaken up a little. 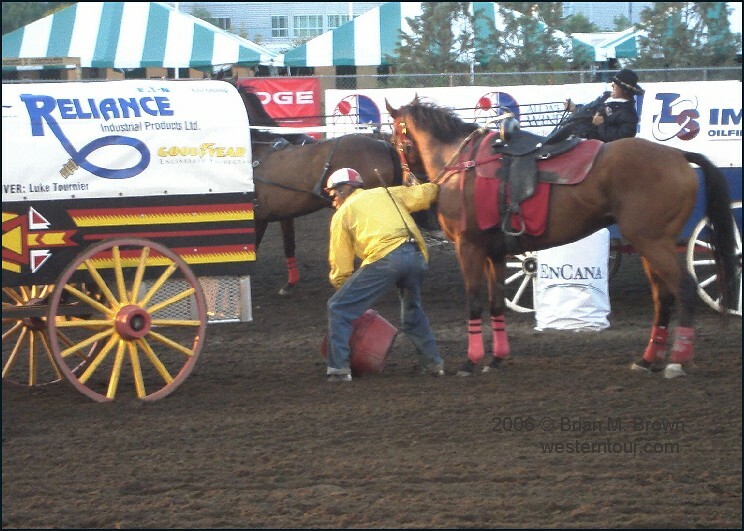 A helper gets ready to catch a ride to the starting line. 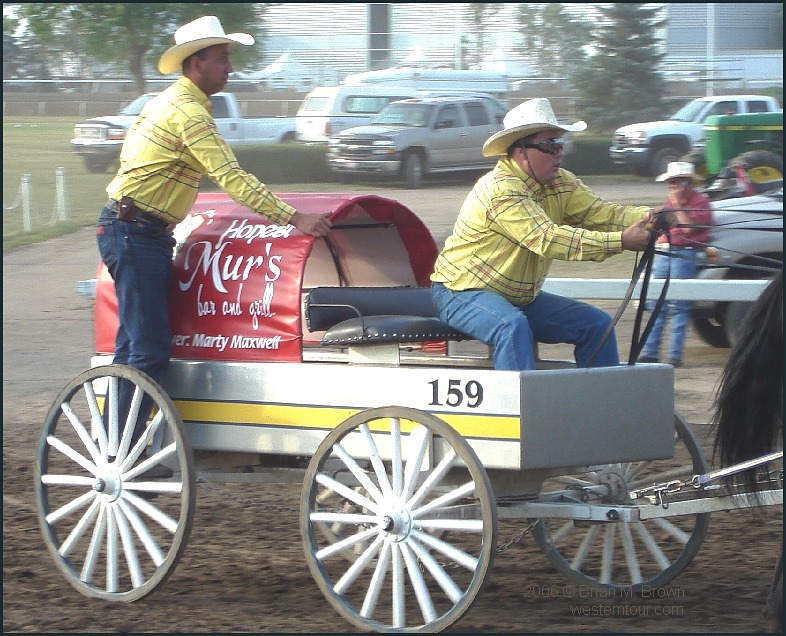 You get the feeling that when Honest Mur decided to pay for a chuckwagon tarp, he looked to people in his bar to help him out. 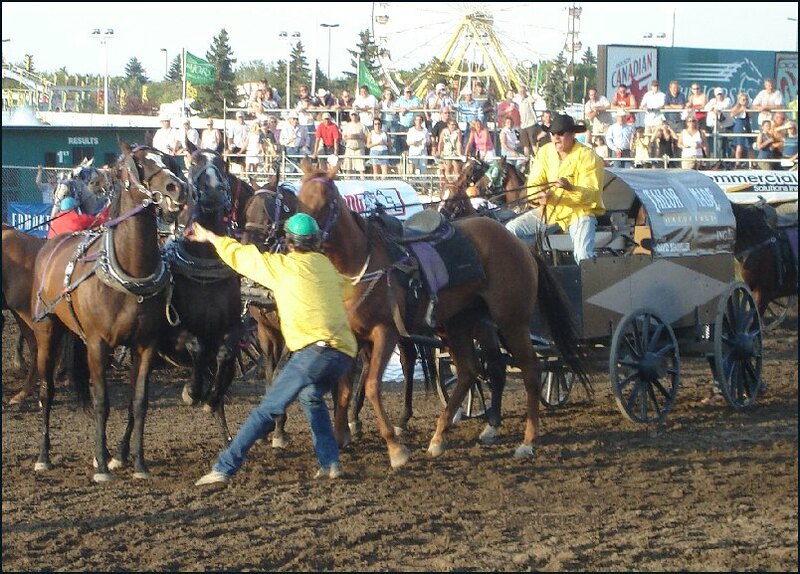 Maybe, at the end of a night of drinking, the hangers-on drew straws to decide who would get the chance to drive the chuckwagon. The helper catches a ride. At this point, I suspected they were new at the game. They didn't look like agile athletes; and everything looked bright and clean. Maybe it was their first race? But wait, there is a little mud on the front of Marty Maxwell's hat. 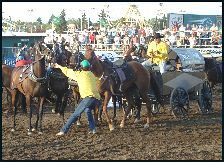 The chuckwagons line up at the start line. Honest Mur is hoping for an honest day's work. 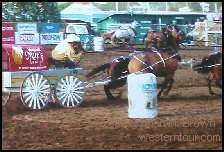 As Marty Maxwell turns the barrel and heads for the track, you can see he has done this before. 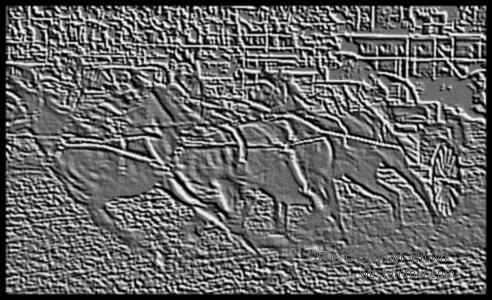 the horses head towards the next barrel. 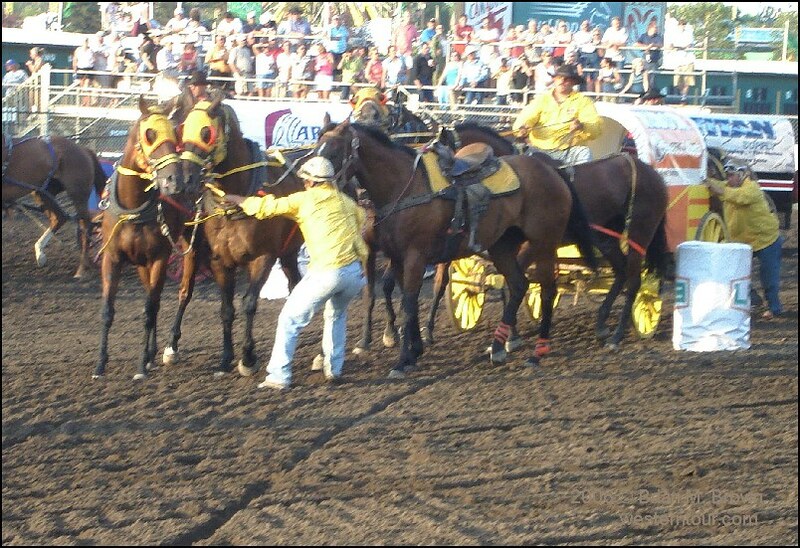 An outrider works to keep the lead horses straight as the horn blows and the driver yells to his horses. 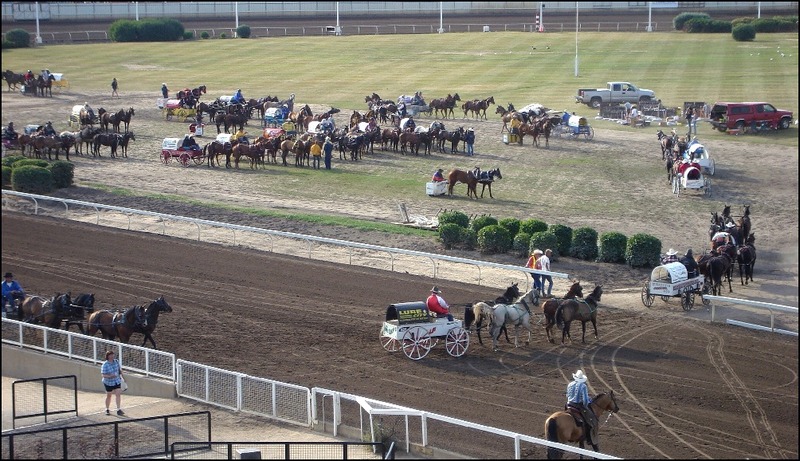 The outrider is able to keep safely out of the way as the lead chuckwagon horses begin to turn. 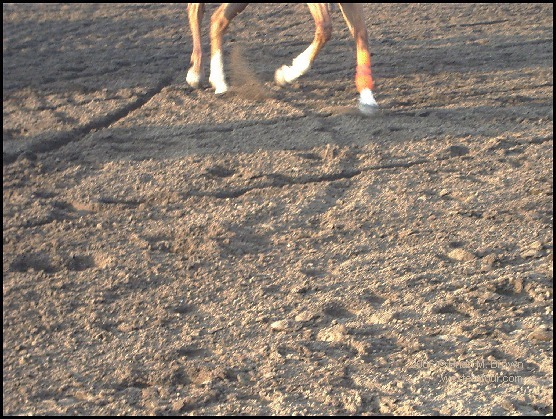 He jumps onto his horse quickly so he isn't left behind. 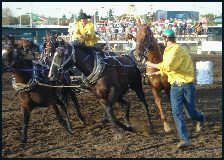 In this race, the photograph shows the outrider struggling with the horses. 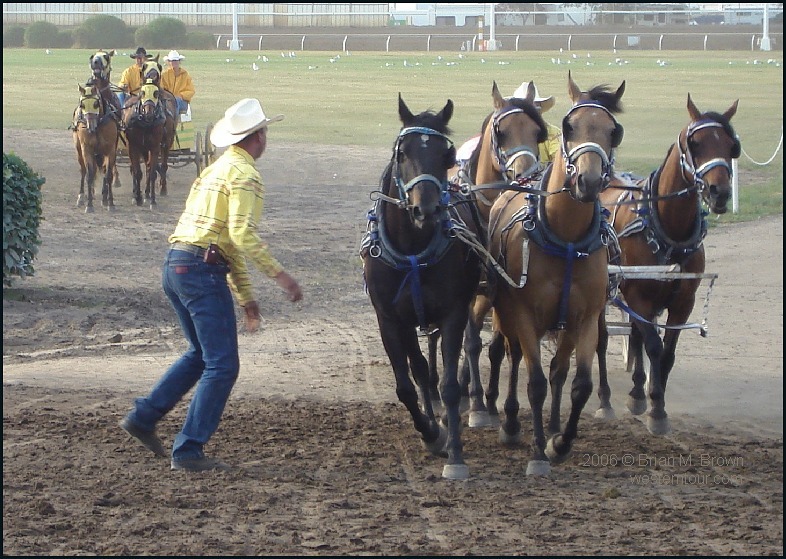 The driver doesn't look very happy because the race can't start until the chuckwagon behind him reaches it's starting position. 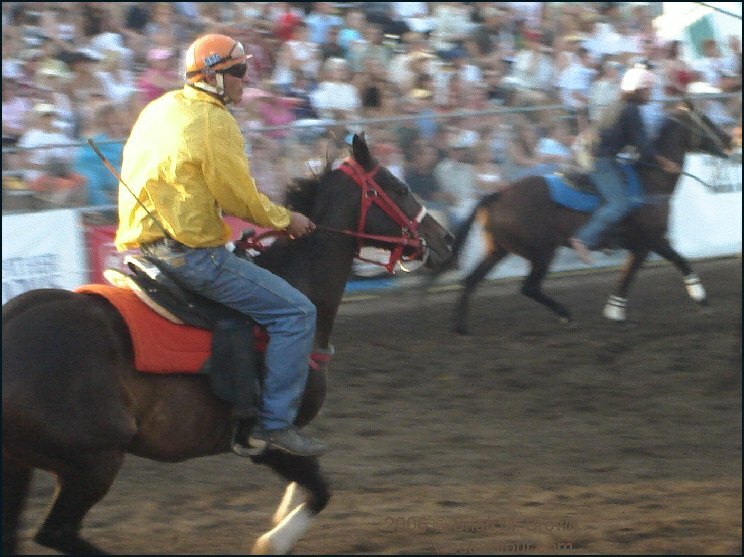 The outrider turns the barrel and quickly heads for the track. 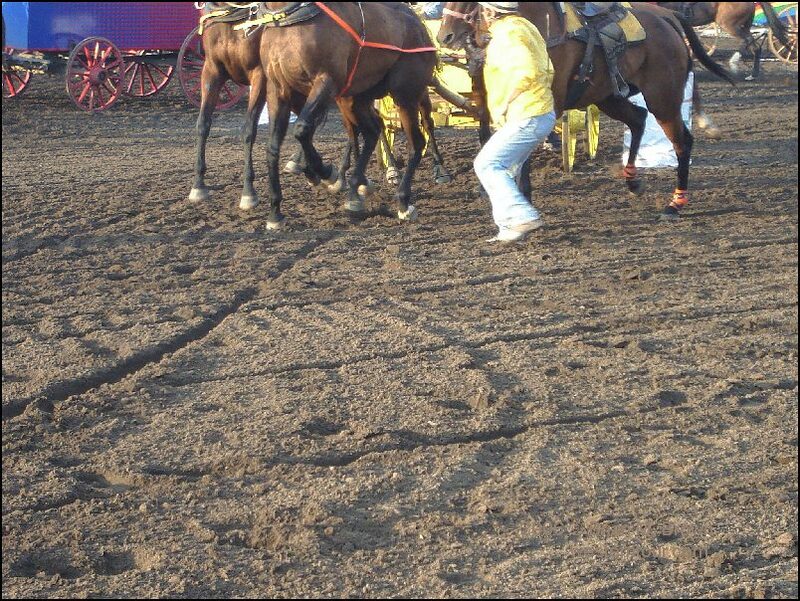 At the end of the race, his chuckwagon will be penalized if all the outriders are not right behind it. 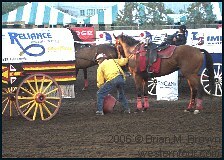 When the horn blows, the job of this outrider is to throw the red stove into the back of the of the chuckwagon before the chuckwagon takes off. 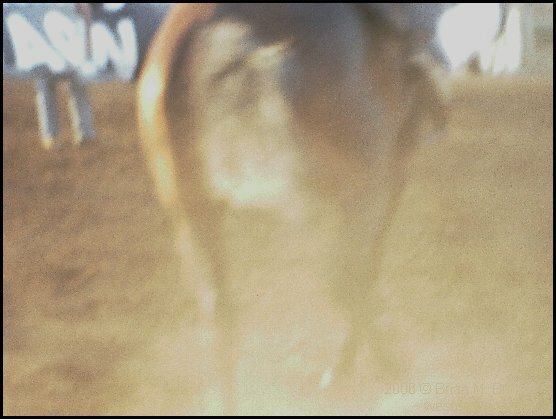 Behind him, a driver pulls back on his horses with all his might. The start of this race was a little chaotic. 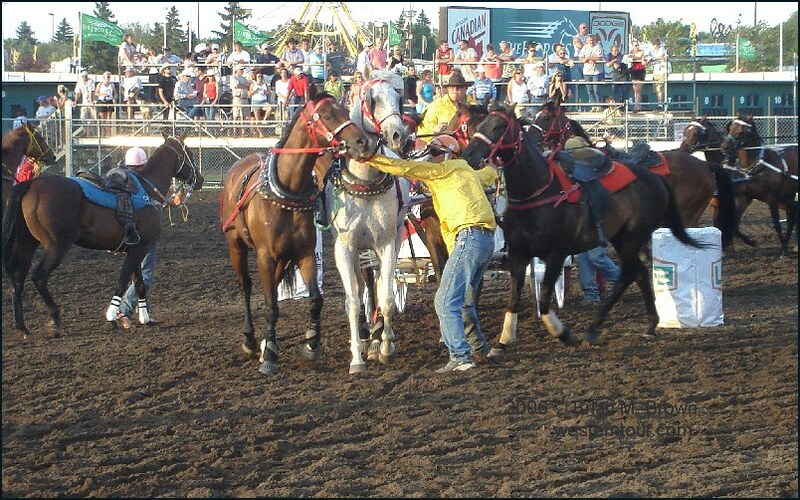 Before the start, the outrider has trouble with the two lead horses who appear to be falling in love. Four seconds later, this photo was taken and it looks like the situation is getting worse. But the horn soon goes. Three seconds after the last photo, this photo was taken. I am busy fumbling with my camera so in the excitement was unable to aim straight. 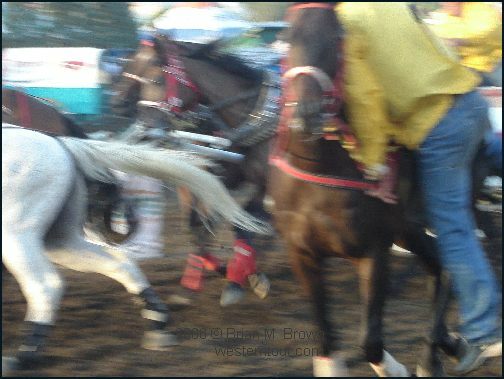 The horn has blown and the outrider has gotten out of the way. 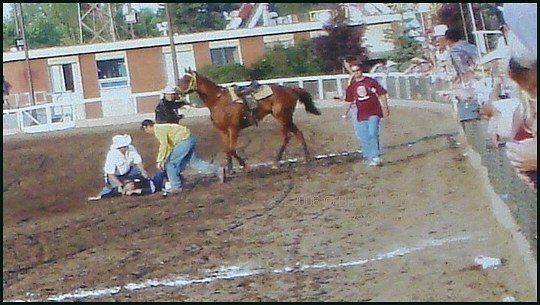 Three seconds after the last photo, an outrider heads towards the camera. My camera is new so I took this photo while focused on trying to find the zoom lens button. 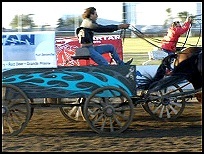 Everything happened so fast that I am uncertain what happened, and don't know if this is the same outrider. This horse brushed the fence immediately in front of me and then headed back into the race. My camera says it was nine seconds between the last photo and this one. 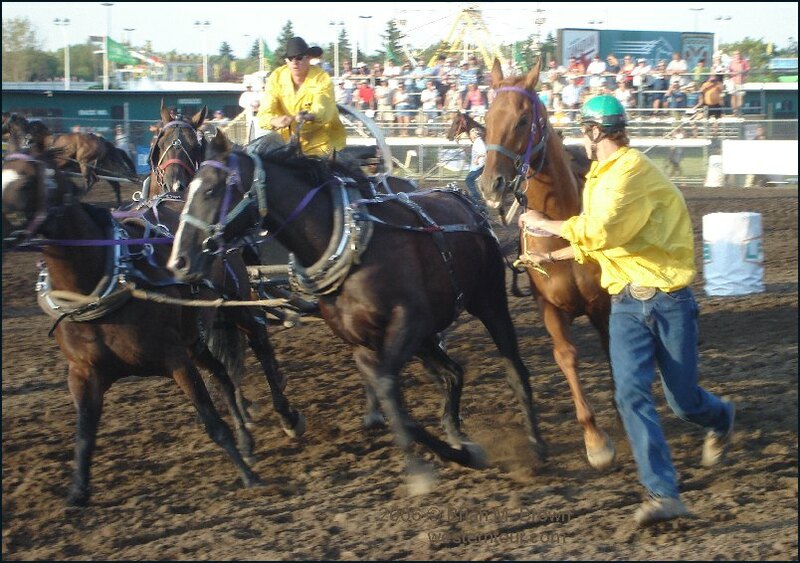 Many chuckwagon races are held in the evening. The races come to an end as the sun goes down. �2006 Brian M. Brown All rights reserved.